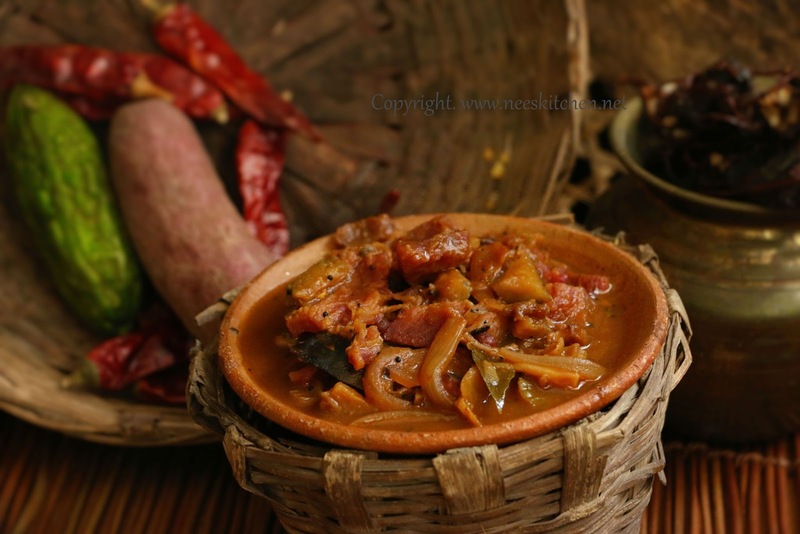 Bitter gourd, sweet potato & onion are cooked in tamarind juice along with sambar powder & other spices, condiments from the kitchen. Based on my knowledge from internet, purple sweet potatoes are better for diabetes when compared to the other varieties. 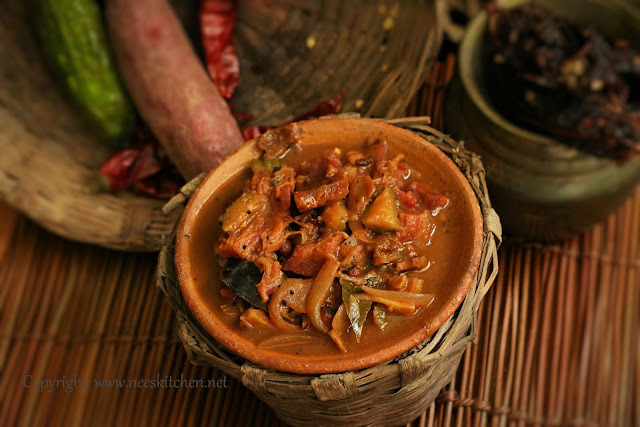 The naturally sweet & colorful purple sweet potato is an ideal replacement for jaggery in a vathal kulambu. Bitter gourd on the other hand has a huge number of health benefits. However making kids eat them is not a joke. 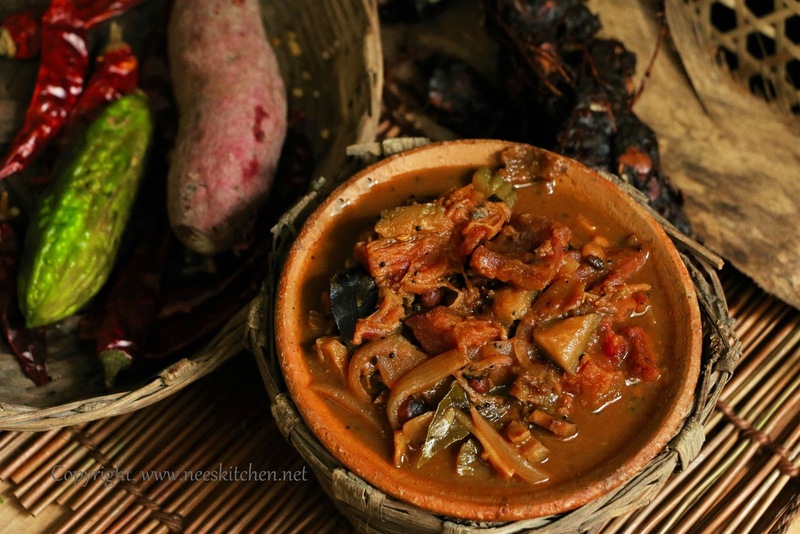 So if you combine with sweet potato the bitterness is comparatively suppressed.Lastly, if you cook this in a clay pot a day before and leave it marinated overnight its tastes so good.The video shows the regular cream color sweet potato however you may cook with purple sweet potatoes also. 3. Temper with mustard, Bengal gram, Methi, Peanuts, red chili, Kobbari. 4. Let it get cooked. 5. Add onions and fry them until transculant. 6. Add sweet potato and fry until they are half cooked. 7. At this stage add bitterguard pieces and cook for 2 mins. Add curry leaves. 8. Add salt, turmeric, sambar powder & coriander powder. 10. Add tamarind water and cook until the mix thickens.